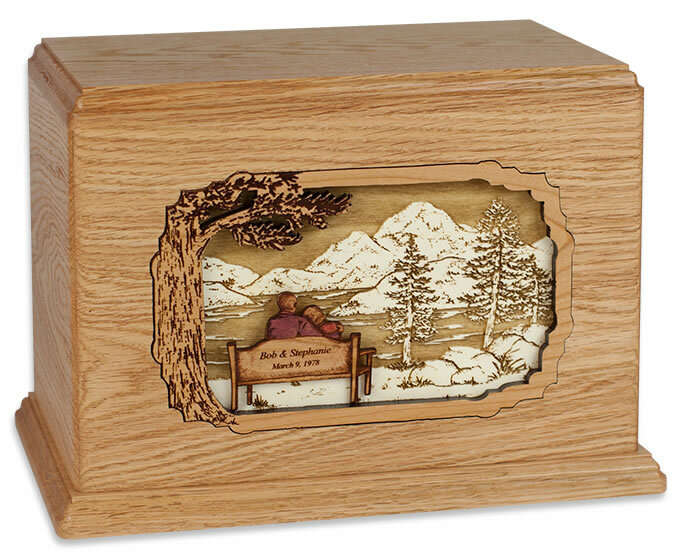 The Soul Mates Wood Companion Cremation Urn is an individually crafted wood inlay cremation urn that is designed to hold the ashes of two adults. This solid wood urn is crafted from several types of exotic hardwoods that are used to make the park bench scene. Also, because each piece of wood varies slightly in grain and color, each urn is unique and may vary from the photo on our website. The engraving on the park bench is included in the standard price. For Park Bench engraving, please limit engraving to no more than 18 spaces per line. Park bench engraving is Times Roman Italics. 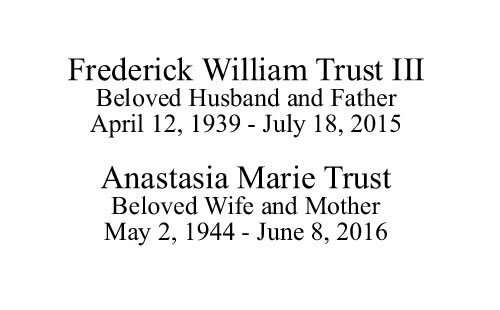 Optional engraving on the top of the urn is available. Please limit engraving to no more than 35 spaces per line for the TOP of the urn. Check engraving information to be sure spelling, punctuation, capitalization, and dates are correct. Engraving will be done exactly as submitted. Engraving on the top of the urn can be in Block or Script. 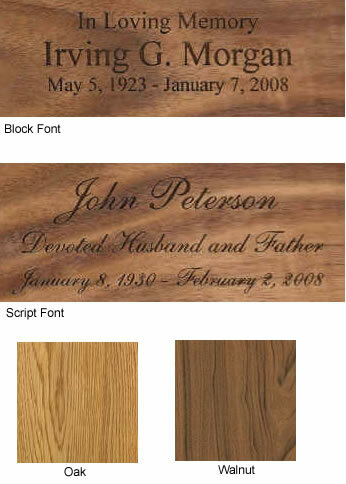 See the sample engraving layout (click on the tiny print below the photo of the urn) for how the information is placed on the top of the urn. Companion (Double size) - Special Order - May take 3-6 business days before it ships.